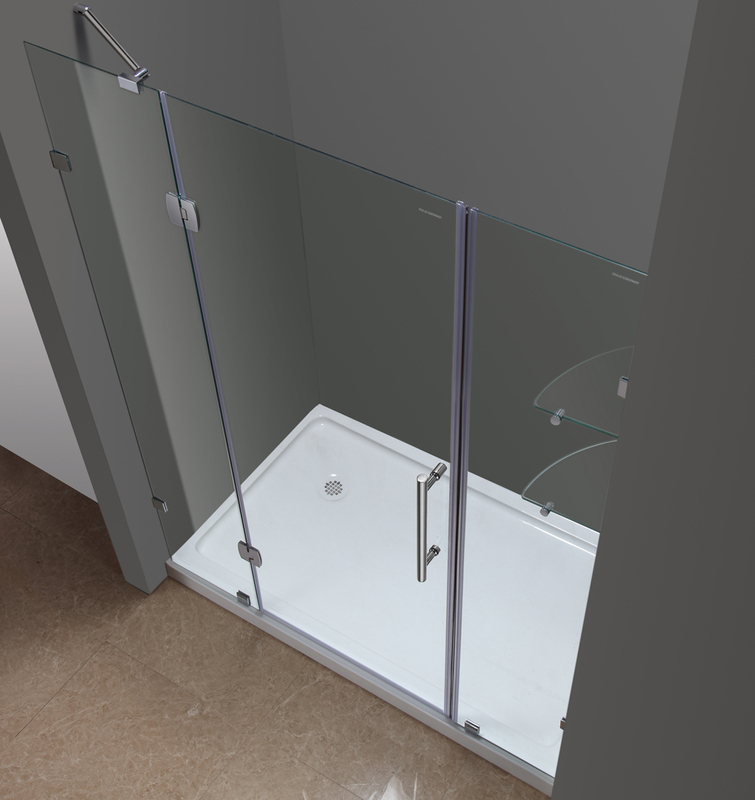 Size: 60" x 32" x 77.5"
Transform your bath alcove area with the completely frameless Soleil hinge shower door with matching low-profileacrylic base. 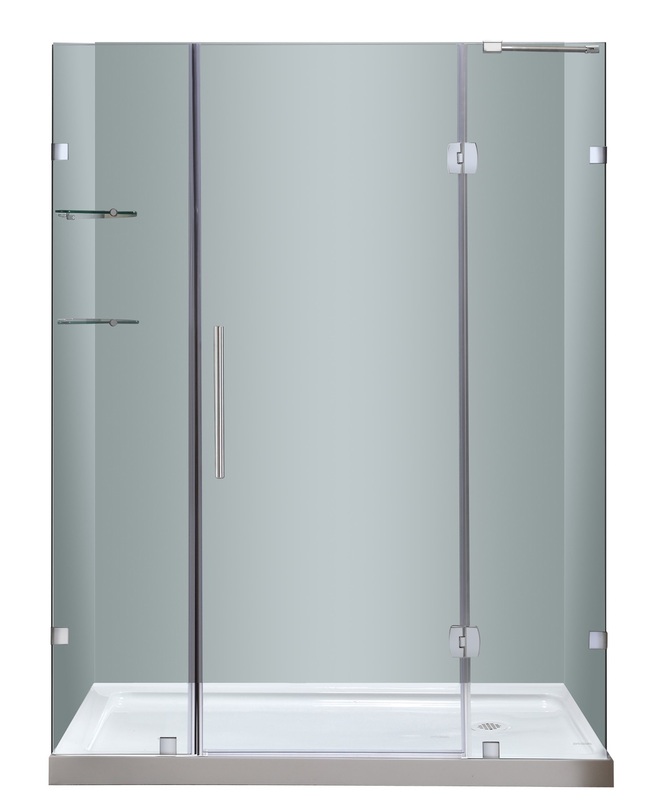 Constructed of stainless steel composite hardware and premium 6mm ANSI-certified clear glass, this modern model will provide a sleek, sophisticated fixture in any bath. 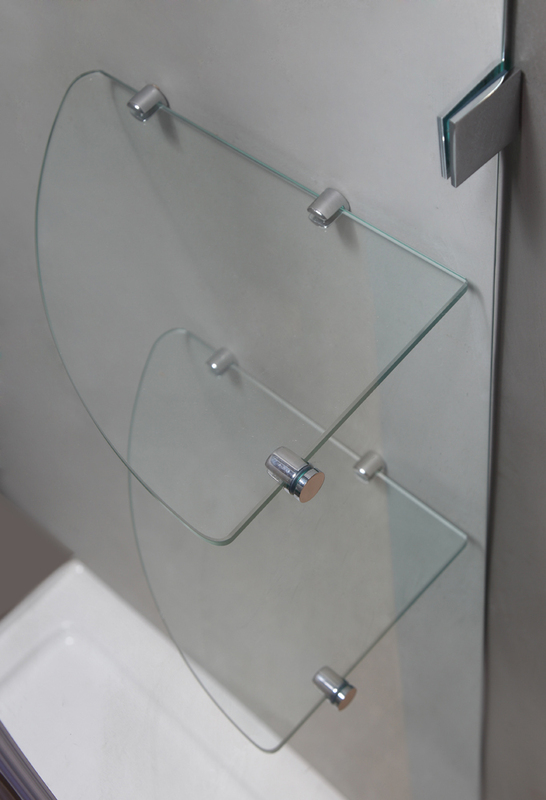 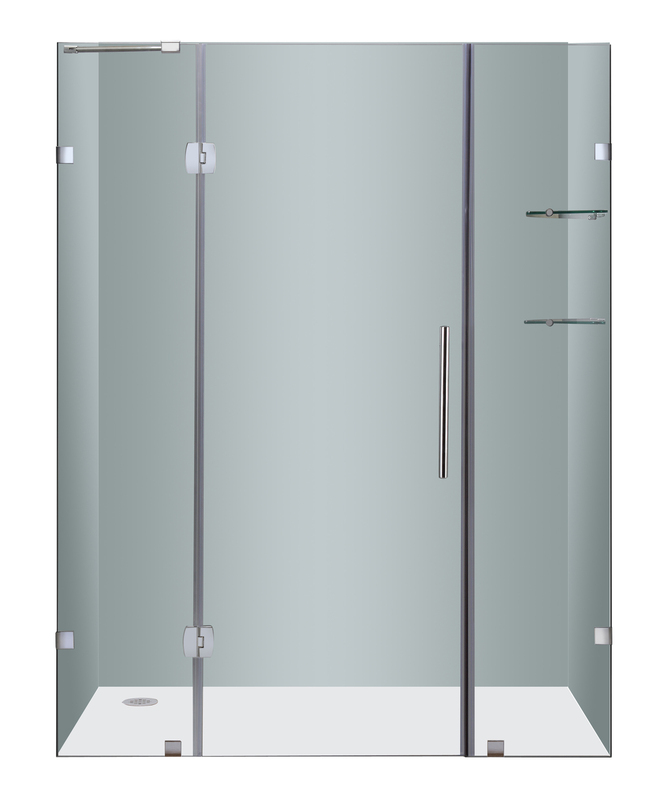 This door comes complete with 2 clear glass shelves that act a convenient accompaniment for each showering experience. 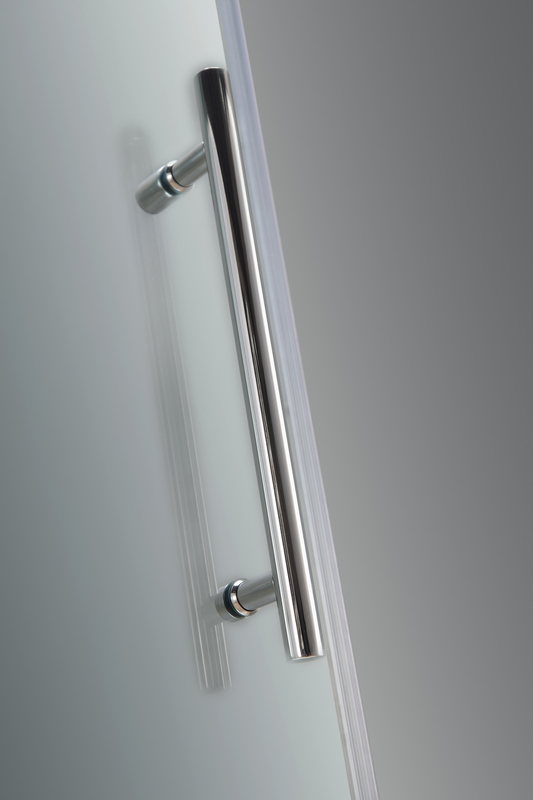 Its reversible door configuaration adds flexibility to your upcoming renovation. 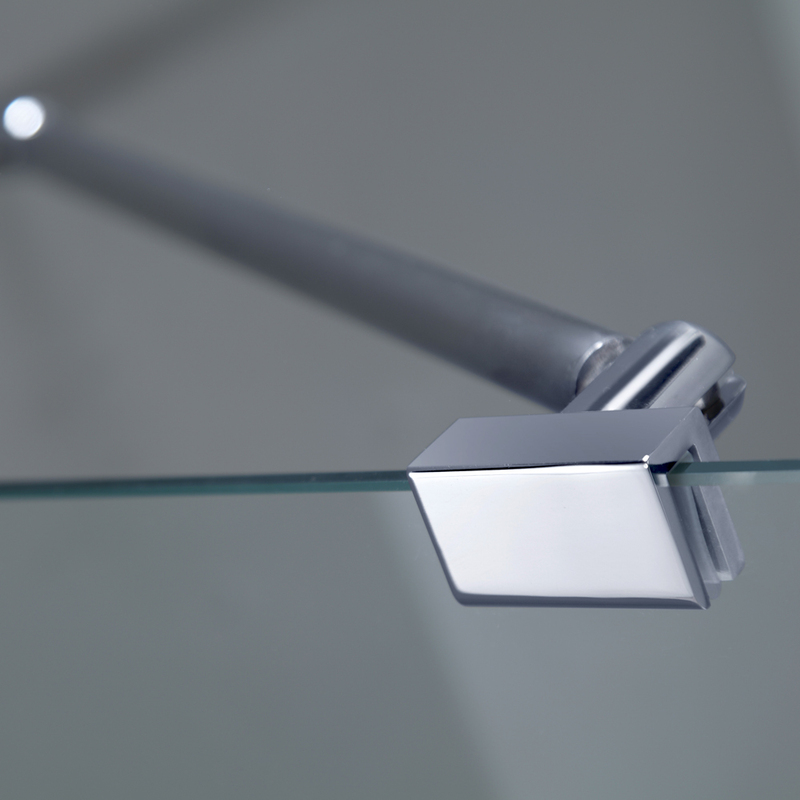 This model includes the matching low-profile base.